Neopol founder Barbara Lahnstein has spent the last twenty years combining her love of food and art. 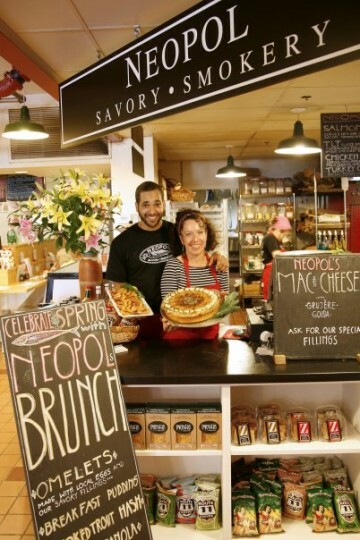 With humble beginnings at local farmers markets, high demand for Barbara’s unique brand of smoked and savory foods encouraged her to open Metropol Café and Art Gallery. After four years, with a quickly growing business, and new desire to do on-site smoking, Neopol Savory Smokery was born. 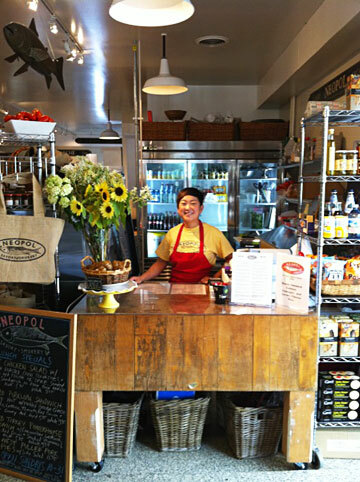 Today, at Belvedere Square, Barbara has partnered with her son, Dorian, who has always been instrumental in developing the image of Neopol, to cultivate a worldwide following, and a budding distribution business using the same simple principles of Barbara’s vision: great food and great quality. As Neopol grows so does its commitment to a continuously evolving menu. We are moving towards a completely sustainable menu featuring all natural and organic ingredients. The belief that good ingredients make good food is a major theme in our kitchen and results in a great sense of pride in the Neopol products. During 20 years of creating food, mother & son surrounded themselves with a creative and talented staff who have embraced the novel brand of food. The love of food is shared by the entire Neopol team, helping to create more and more delicious menu items.